If you have a website for your business and need to have a mobile site you may be thinking you can just convert the regular site to the mobile site without any changes. While this may work in theory, it isn’t always a good idea. There are reasons why full site content doesn’t always work with mobile sites, including the size of the devices that mobile sites will be viewed on, the operating systems in these devices, and the ability of the content itself. When you begin building your site, knowing what to put on it and what to leave off will help you in a big way. Look at your smartphone and think about the things you read on that screen daily. Think about the length of the pages and the type of content on them. Think about the sites that frustrate you the most, and the ones you actually enjoy reading on your phone. This is how you need to think about building your mobile site. If you are working with lots of content, break it down by links and subheads. Don’t put pages and pages on your site and expect someone to read through it all to find that they need. List only the very important content on the first page, and link to the rest with multiple links that organize the subject of the content. 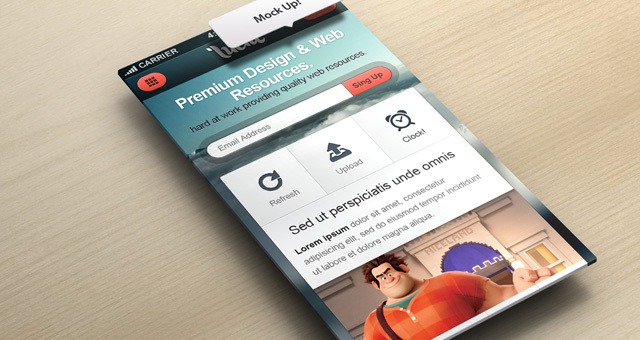 Use mobile website templates to help you get the right effects for your mobile site. This could be something as simple, but useful, as “click to call” features or social media tie-ins. Whatever type of effects you want to use to make your site better, use a template to keep it simple and organized. Use links with clearly defined titles so that people looking for things will know exactly where to go when they are looking for certain types of content. For instance, if you are selling old vinyl discs, make different links for genres or bands that you have discs for. If you have specific information for your company that you need to express to readers, you should list those in links, too, but don’t put too much content into the links. If you have contact information, list it clearly and concisely. List your history in the “About Us” section, but don’t put in information that doesn’t help clients know what they need to know about you. Finally, link back to the full site where clients can go if they want more information or more content about you and the company. When you are building a mobile site from your main site, you may be tempted to just pull all of the content over and be done with the process. This can harm you, though, because traditional web content doesn’t always show well on small devices like smartphones, and people won’t read that. Pick the right content, use links to organize content, and choose effects that enhance the site, not hurt it to build the best mobile site.